They sometimes say the English are cold fish. Reserved, unemotional, lacking in passion. But what do they know who say that? They never met my aunt, Heather Whitcombe, who died aged 90 at Brent Eleigh on 27 August. Heather was as English as they come. She was stoical in the face of adversity, so she did embody some of the qualities of the stereotype, but cold she was not. Any time spent in her presence was special and memorable: memorable because of her irreverent wit and infectious laugh; special because of her unfailing warmth, her hospitality and kindness. She was born Heather Madeline Sherston, on 14 April 1922, as a rose of the Empire. On her father’s side, the Sherstons had been solicitors and local worthies in Bath and Wells since Elizabethan times, settling latterly in Evercreech, Somerset. In the era of Empire they had been soldiers: Heather’s great-grandfather had been Inspector-General of Police in South Africa, her grandfather “Colonel Jack” Sherston had fought in Afghanistan as aide-de-camp to his uncle, Lord Roberts, and was killed by friendly fire in the Boer War. Her father Geoffrey and uncle Reggie were trained to be army officers, her aunt Ethel Dugdale was a suffragette. 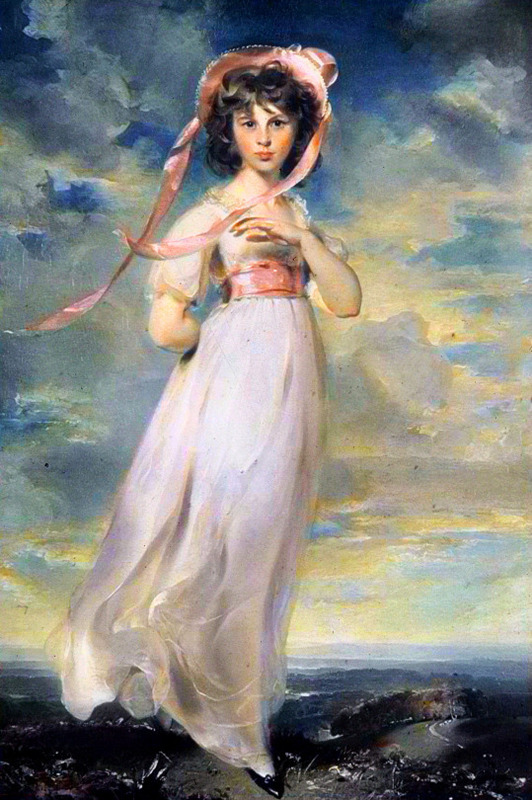 On her mother’s side, Heather’s first cousin, albeit four times removed, Sarah Goodin Barrett Moulton, came to symbolise 18th century British colonialism as Pinkie in the famous painting by Thomas Lawrence, which still hangs opposite Gainsborough’s Blue Boy in the Huntington in California. Pinkie lived in Jamaica, where the Barretts were owners of a big sugar-cane plantation and lived at Cinnamon Hill, which many years later was bought by Johnny Cash as his last home. Another cousin was the poet Elizabeth Barrett-Browning whose How do I love thee? has so often been voted the No. 1 romantic poem of all time. 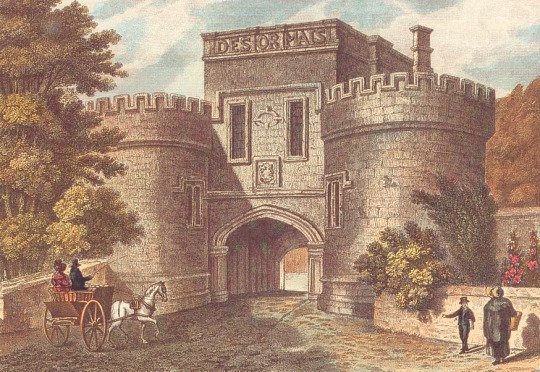 Heather’s maternal grandfather, Robert Bell Barrett, was land agent to Lord Hothfield, managing his extensive estates and living in the home that went with the job, Skipton Castle, where Heather was born. Her father Geoffrey and mother Monica were married the previous year, Monica taking on the task of being step-mother to her husband’s one-year old daughter Dodie, whose mother Dorothy Peart Robinson (Monica’s first cousin) had died in childbirth. Like his brother Reggie, who went off to farm in New Zealand, Geoff had abandoned soldiering at the end of ‘The War To End All Wars’ and was retraining to be a land agent like his father-in-law. Dodie and Heather were just two years and one month apart. Seven years later they were joined by Jilly; after another four by Jack. Skipton Castle played a big part in their childhood and Heather’s sons remember her telling them of cold nights in the castle, sleeping in a four-poster with Dodie, watching the wind blow under the wall tapestries and her naughty Uncle Harry (Barrett) tripping up the butler carrying silver service along the stone flagged corridors. Heather recalled her childhood as a very happy time. She adored her Pa and by all accounts it was from him that she inherited her great sense of humour. She loved riding with him on the estates he managed - at Olliver near Richmond, and at Grantley Hall. The girls, as was the custom, were sent to boarding school at Felixstowe and also at Tolmers Park in Hertfordshire, once the home of Queen Elizabeth I’s favourite, Robert Dudley the Earl of Leicester but, between the wars, a girls’ boarding school. Heather was 17 when World War Two broke out. Like thousands of other young men and women, she was keen to do her bit. She joined the Women’s Royal Naval Service. As a young WREN, looking brilliant as her sister Jilly recalls in her black stockings and smart uniform, she was soon driving sailors around in 3-tonne trucks and officers in staff cars. She never spoke about the six-month spell spent serving in an administrative role at the top secret code-breaking unit at Bletchley Park until this came out in the seventies, some 30 years later, service for which she was recently awarded a medal. On leave back in North Yorkshire, near the army base at Catterick, Heather met the dashing young Highland Light Infantry officer John Whitcombe and romance flourished. Heather was 21 when she married John in 1943: a marriage that lasted 65 years until John died in 2008. After the war, Heather and John settled down to married Army life. It was still almost two decades before Macmillan’s winds of change had picked up full speed, but Indian independence set in train an irreversible chain of events and the chronology of births in the Whitcombe family illustrates the tail end of Empire. Rosie was born in January 1947 in Yorkshire, Jonathan three years later in Hong Kong, then James in June 1951 in Kuala Lumpur, Mark in March 1954 in Egypt and finally Nicholas Paul in December 1959 back in Edinburgh. It was quite a brood and family legend has it that on disembarkation after the voyage back from Egypt, Heather accidentally left Mark behind in the cabin unattended, and had to go back for him. 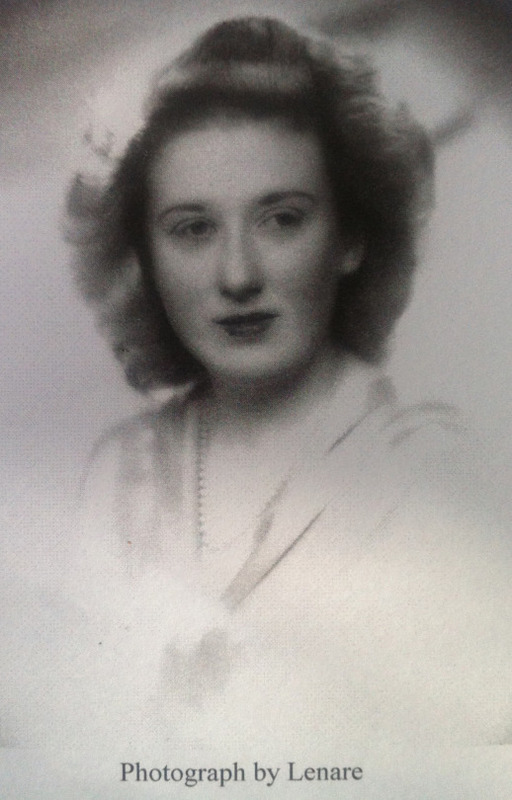 In the early 1950s John was stationed at Lüneburg with the British Army on the Rhine, and Heather’s sister Dodie, who had married Dutch SOE officer Kas de Graaf and was raising her own family in nearby Holland, sent over her German nanny to help, followed by a succession of Dutch au pairs. Heather worked hard in the home; she was a wonderful, caring mother and a superb cook. She loved entertaining and was always preparing for dinner parties and regimental functions, or catering for an invasion of her children with their friends at a moment’s notice. She always had time for people from all backgrounds and walks of life and she made friends easily, with her humour and practical common sense. Happy family life was punctuated by the children being packed off to boarding schools, still very much the done thing, but nevertheless a great sacrifice both financially and emotionally for the parents. Heather wrote long letters to each of them every week, enclosing the Beano, the Beezer, the Eagle, or whatever happened to be the favourite comic at the time. Heather’s love of letter-writing continued until very late in life. She did not keep a diary, but her fluent weekly epistles informed the children of all her doings and encounters in minute detail, often very amusingly. In 1964 the Whitcombes moved back to Yorkshire. That year Rosie, then 17, developed a mystery illness which much later was diagnosed as cancer of the liver. Rosie bore her suffering bravely but four years later, on Christmas Eve 1968, Rosie died aged 21. Heather had been very close to her only daughter and she was absolutely devastated. The Whitcombes continued living in Yorkshire until 1996, settling eventually at Allerton House, Allerton Park, near Knaresborough. The Whitcombes took active part in local shoots, bagging hares, pheasants and other wildlife that would find its way on to the family table. Finally Allerton House was getting too big for John and Heather and they moved to Suffolk to be nearer all the family. Heather was quick to make friends and would often be seen planting bulbs in the beds around the village hall in Brent Eleigh, opposite the lovely Old Cottage where she lived. In 2000 Heather, Dodie (Mrs Door de Graaf), Jilly (Lady Palmer) and Jack (Capt. Jack Sherston, ex-Grenadier Guards), came together for a “sibling supper” at Richmond, Surrey. It was the first time in many decades that all four had been together – and as it turned out also the last, since on Christmas Eve that same year, Jack unexpectedly passed away after a short illness. In the last five years Heather made some special trips back to her beloved Yorkshire Dales, meeting the current proprietor of Skipton Castle 85 years after she was born there. Disregarding her own advancing infirmity, Heather looked after John who was growing increasingly deaf and losing his memory. John had to move into a local care home for his last two years and Heather continued looking after herself for as long as possible, eventually with the support of live-in carers. On her 90th birthday last April, Heather moved into a care home near her cottage, where, four months later, she slipped away surrounded by her four sons.